And yes, again the discovery was made during roadworks, this time by Ramle in central Israel. 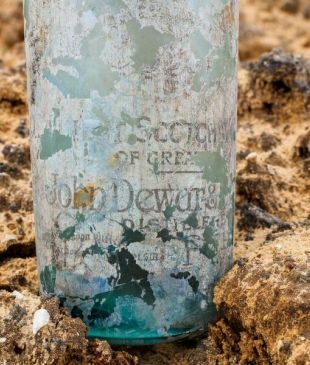 While rooting about for remains of prehistoric man dating back about a quarter-million years, archaeologists in Israel discovered a huge stash of liquor bottles daring back to World War I. And yes, again the discovery was made during roadworks, this time building a new road going around the city of Lod, in central Israel. 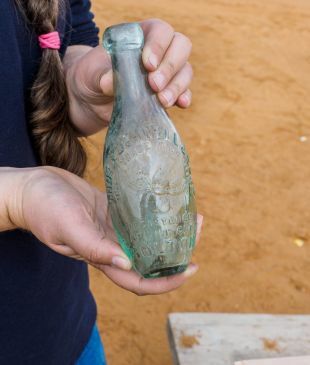 The century-old bottles were probably left there by British soldiers, going by the fact that they were found near where the Brits were garrisoned during the war, by Kibbutz Netzer Sereni. There were a lot of bottles. 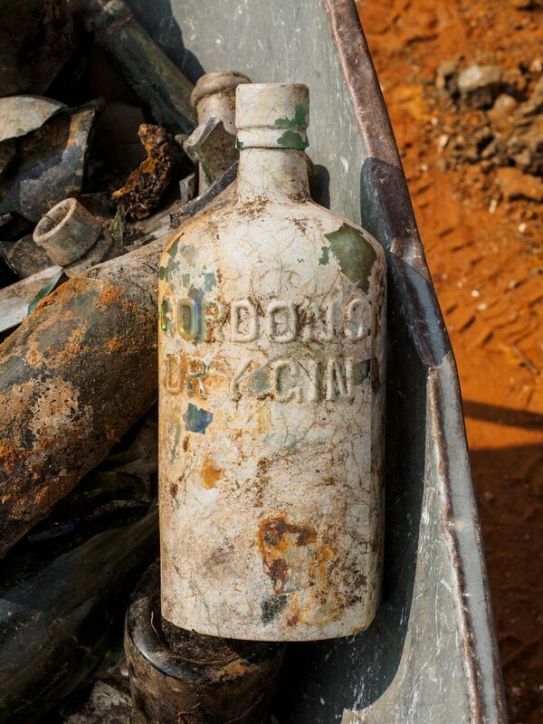 The bottles were found with a pile of rubbish that included broken crockery and cutlery – and "an enormous number of soft drink and liquor bottles. In fact, about 70% of the waste that was discarded in the refuse pit were liquor bottles. 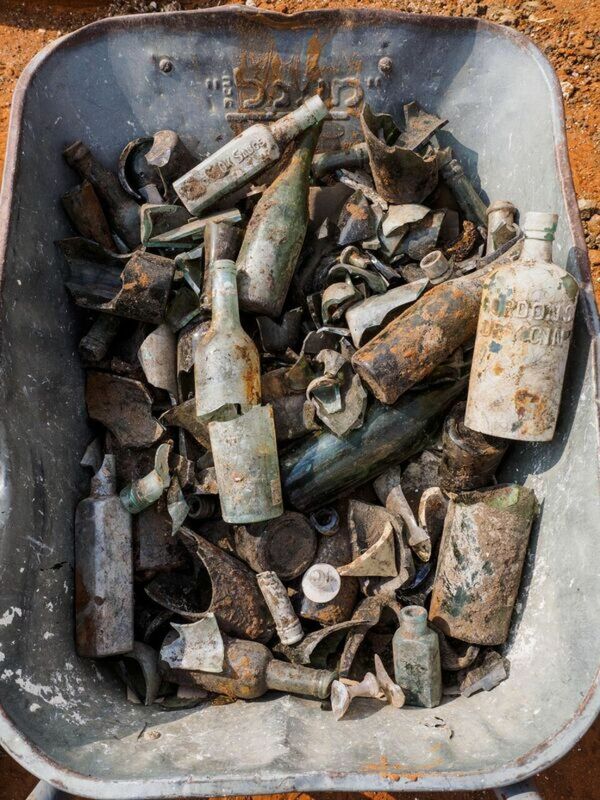 It seems that the soldiers took advantage of the respite given them to release the tension by frequently drinking alcohol," speculates Ron Toueg, excavation director for the IAA. The startling discovery was made some weeks ago, around where telltale flint tools, dating around 250,000 years ago to the Middle Paleolithic era had been found by investigators of the Israel Antiquities Authority. So what were the British warriors imbibing while housed in what seems to have been an Ottoman-era agricultural building that had been converted into a barracks for them? 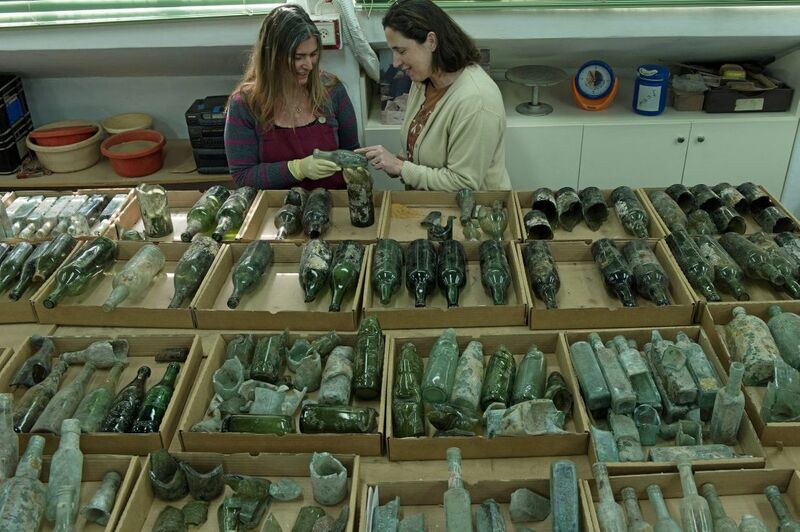 “Mainly wine, beer, soda and gin, liqueur and whiskey," says Brigitte Ouahnouna, a researcher in the glass department of the Israel Antiquities Authority, adding that the bottles had been imported from Europe. Also found inside the ex-Ottoman structure were dozens of uniform buttons, belt buckles, bits of riding equipment, and other artifacts that had belonged to British soldiers, the IAA stated. "The building caught fire and collapsed for a reason which at this point is unclear," says Toueg. Another find was the silver tip of a swagger stick stamped as belonging to a Royal Flying Corps officer. Sary Mark, architect, conservator and an authority on the British army’s occupation of Palestine, explains the background of the unusual find. It bears explaining that while Israel isn't riddled with antique whiskey bottles, prehistoric sites are legion. This land was on the route by which Man, of whatever species, left Africa, on several occasions. Among the unusual and intriguing prehistoric finds are evidence of fire control on the Carmel 350,000 years ago, tortoise cuisine some 400,000 years ago, and animal fat residue found on stone tools dating back 500,000 years.